News: Google again reinforces its position in the IoT space. Google is promising a busy year in the IoT space, with the Californian tech giant set to bring driverless cars to the streets of London, launching a new virtual reality (VR) headset and pitting its artificial intelligence (AI) software against a world champion in a head to head Go match. Firstly, transport bosses in London have confirmed that the UK Government is in talks with Google on the topic of driverless cars. Deputy Mayor for Transport Isabel Dedring said discussions were at an early stage but "we would be keen for trials to happen" in the capital. Ms Dedring said: "It is going to have to work in big cities so why don’t we start trialling it now? "Google have said they are focused on the States, but they are starting to think about going elsewhere so we are in active discussions. We met them a few weeks ago to see whether they would do trials here." This was the first time ever a governmental body openly spoke about talks between the UK and Google. Last December, under documents obtained through a Freedom of Information Act, The Telegraph reported that the UK government has held up to five face-to-face meetings with Google to discuss driverless cars between 2014 and 2015. The Department for Transport (DfT) has never confirmed or denied its involvement in the discussions, where Google executives are said to have described the UK as a leader in developing laws for driverless cars. 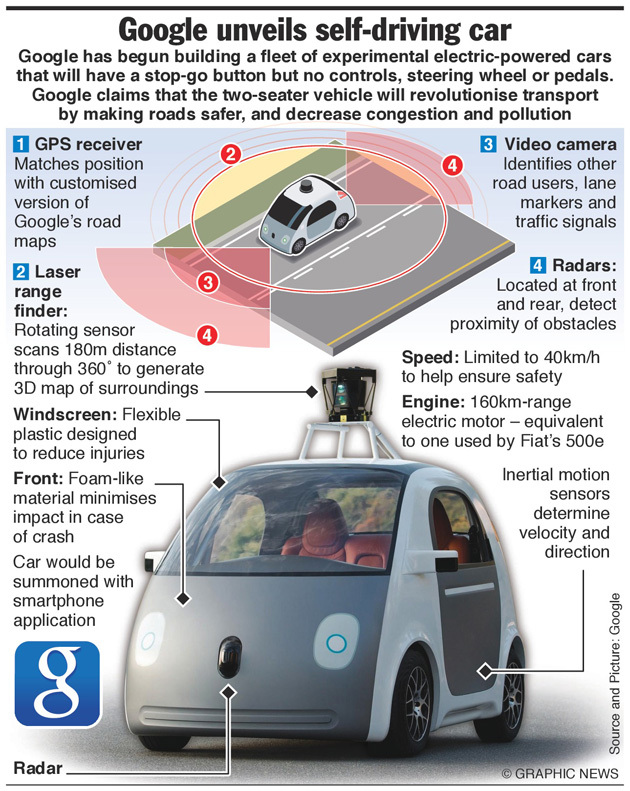 Google driverless technology first took to the road in California in 2009, and has never been tested outside the US. In its eight years of trials, the vehicles have driven more than 1.4 million miles. Google plans to have the first cars available to the public in 2020. In January, it was revealed that the first driverless vehicles in the UK will be rolled out in Greenwich this summer. Last week, CBR ran an analysis into the UK’s driverless car space following the Department for Business, Innovation and Skills and DfT announcement that eight projects have been awarded £20 million in funding to develop the next generation of autonomous vehicles. Yet, Google is not only making advancements in its automotive branch. According to the Financial Times, the company is now working on an upscale version of its 2014 Cardboard headset, a DIY VR device priced at less than $10. The new device is reported to being built with better sensors, lenses and a more solid plastic casing. The headset will work like Samsung’s Gear VR, where users can place their smartphone inside the device to visualise different VR content from movies to games. According to people familiar with the matter, the company is expected to release the VR headset this year, together with new Android VR content. Google’s VR headset-to-be will also be compatible with a wider range of Android phones when compared to the Gear VR, as the company wants to make the technology available to a broader audience. In January, the company revealed that since launching Cardboard, it has shipped five million units. The Alphabet’s arm said that it has also registered 25 million downloads of Cardboard apps from its Google Play app store. In total, the company estimates that more than 350,000 hours of YouTube videos have also been watched in VR mood. CBR also ran an analysis on the chances of Google becoming a main player in the VR market in 2016, as the company also launched its VR business arm in January. Following Google’s announcement that it had developed an AI program, AlphaGo, that has beaten Fan Hui, the European champion of the Chinese board game Go, the company is now organising a match between the software and the game’s world champion, Lee Sedol. Man and software will come head to head in Seoul, South Korea between March 9 and March 15, in a match to be broadcast live on YouTube. The game Go was first played in China more than 2,500 years ago, and next month’s tournament has a top prize of $1 million, Demis Hassabis, head of Google’s DeepMind lab said on Twitter. The first tournament between AlphaGo and a human, Mr Hui, was first played in a secret match in London at Google’s offices last October.